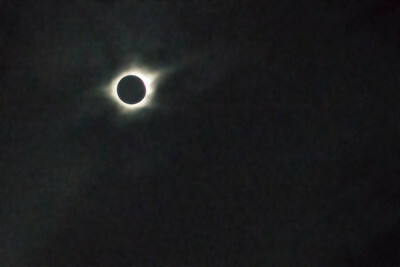 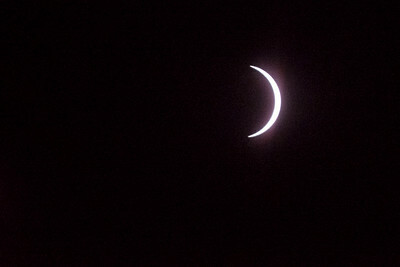 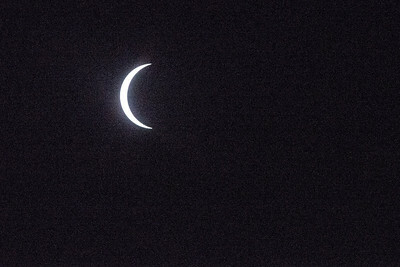 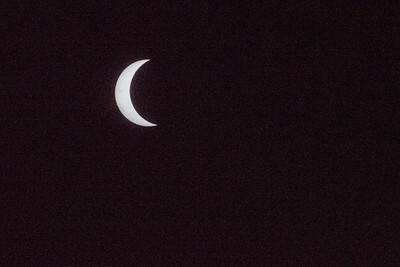 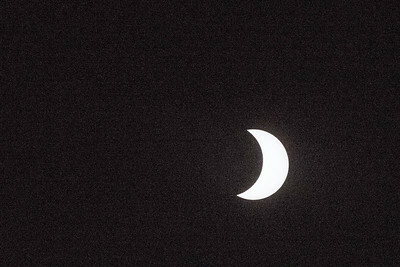 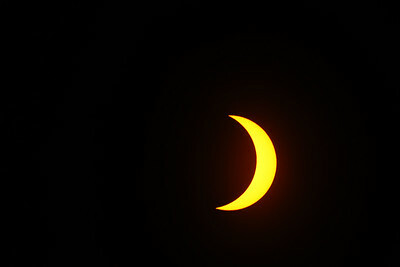 This was the first glimpse we got of the eclipsed sun. 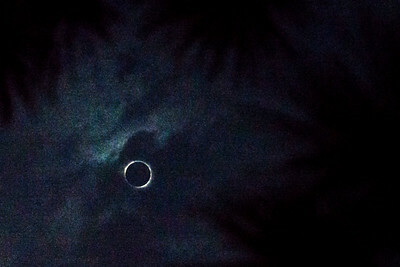 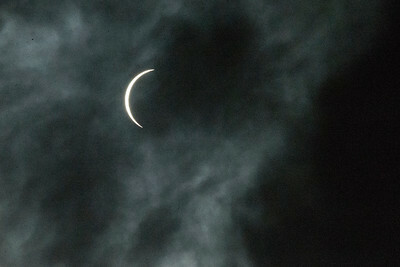 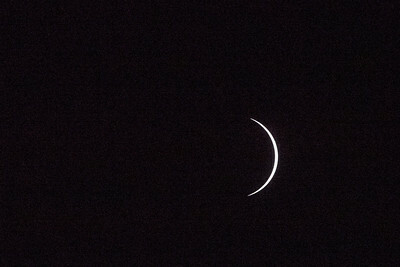 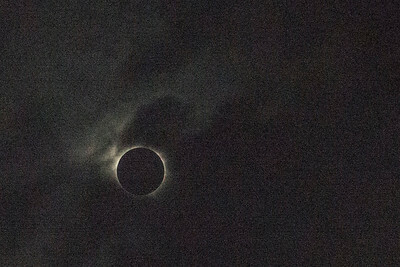 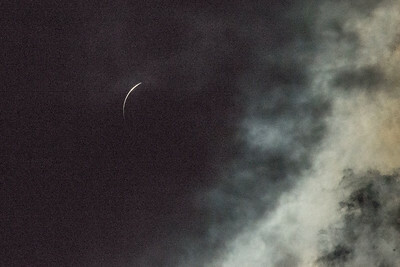 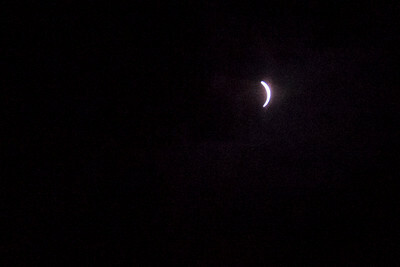 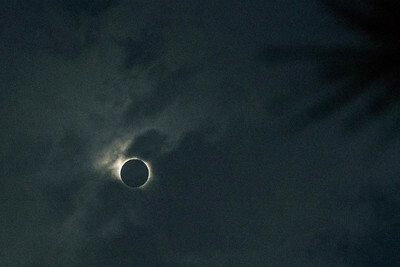 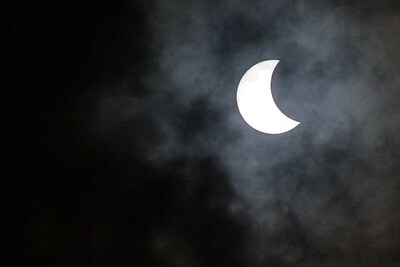 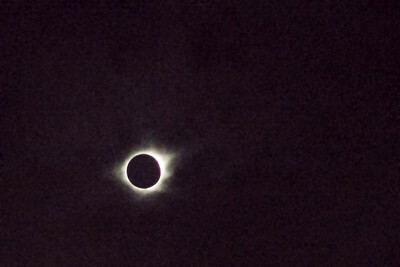 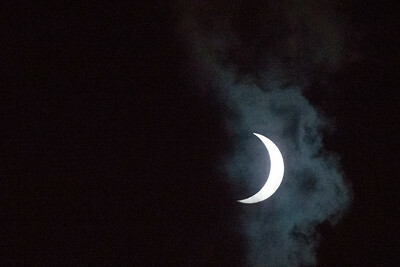 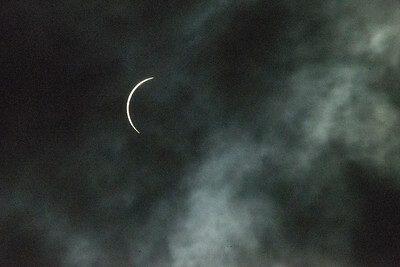 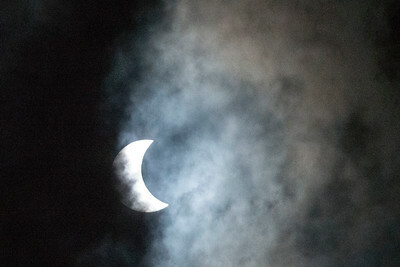 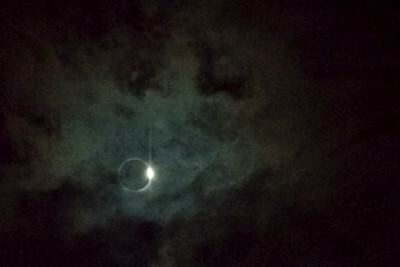 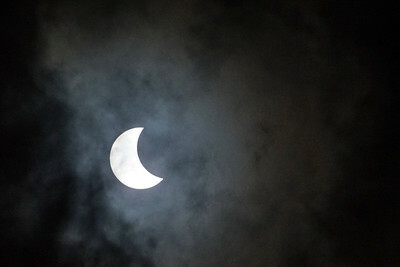 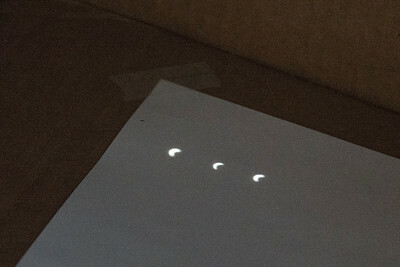 Clouds had obscured (eclipsed?) 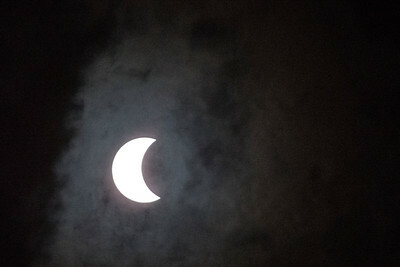 the sun before. 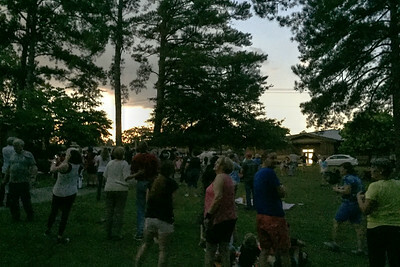 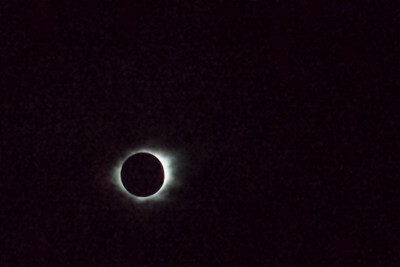 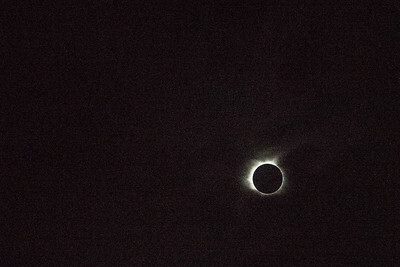 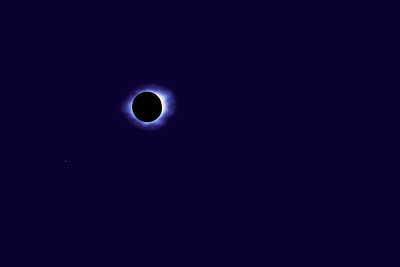 At totality, it was dark enough overhead for stars to appear, but clouds on the horizon were brightly illuminated. 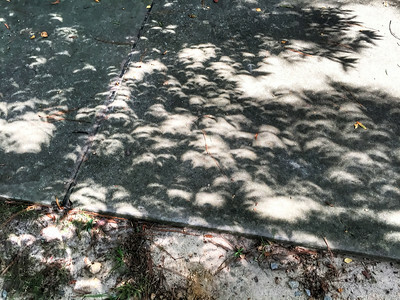 Leaves formed the pin holes for these projections.